If you love that look and feel of a real fire, but without the fuss, then an electric fire could be for you. Combining beautiful design with efficient functionality, our wide selection of electric fires will ensure your home stays warm and looks great. In our showroom, you will find fires from leading manufacturers including Gazco, Dimplex, Valor, Celsi, Be Modern, to name but a few. Designed to be installed within a fireplace opening or fastened directly onto a wall. With lots of different sizes, styles and colours to choose from, there is sure to be something to meet all of your requirements. Many of our models come with control options such as various effects and dimmers, with some even allo wing you to enjoy that same cosy atmosphere without the heat even turned on. 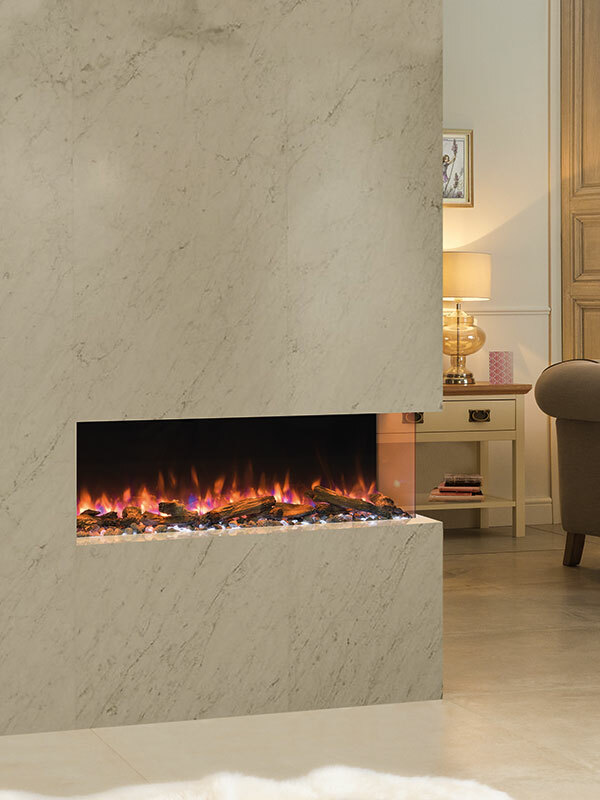 Electric fires are incredibly efficient, easy to install and require a very low level of maintenance. Our expert team can help you with advice and technical guidance to make sure you choose the fireplace to suit your household. Make a visit to our showroom to take a look around our extensive range of electric fires, or if you have a question just get in touch here. LOOKING TO REPLACE YOUR ELECTRIC FIRE?